Just about everyone has experienced infatuation. It is completely based on what the eye sees, yes? It is not what the brain knows or experience or time tell. It is the flame that lights the fuse, I suppose. The fuse either lights and burns or fizzles out. There is something enough there that makes the heart beat a little faster, the mind wander. No one stops to think why but instead pauses and wonders why not. Helen Hayes is looking for someone to sublet her roommate’s room while her roommate is out of town for a month. Her roomie, Marleen, thinks that Tiziano Conti fits the bill perfectly. He rubs Helen the wrong way, though, dropping crumbs on her floor and asking about wireless internet. He’s the best candidate, though, and it’s only for a month. Of course, he complains about the lack of cable TV and leaves the front door open. Helen makes a helpful list of Dos and Don’ts so she can handle his invasion better. Inviting Tiziano to join her and her friend one day for pizza, they discuss her always-traveling boyfriend, Mark, whether Helen has affairs, and Dante’s Divine Comedy. The more she gets to know Tiziano, the more she is drawn in. As with all infatuations, they must change and decisions must be made. Is she willing to trade the familiar with Mark with the new and exciting? With almost a clinical eye, this is practically a step-by-step guide showing how someone moves from zero to gaga. The impersonal and objective manner of the storytelling lets the reader see how it happens (the deconstruction) without becoming sucked in with messy feelings for either main character. You really just want to know how it ends up. I feel like I should be saying something very erudite and scholarly; that I should be writing something here that shows my ability to comprehend not only the story but the psychology, too. Unfortunately, I can’t. What I can say is this: it was an enjoyable experience and it made me want to read Dante. 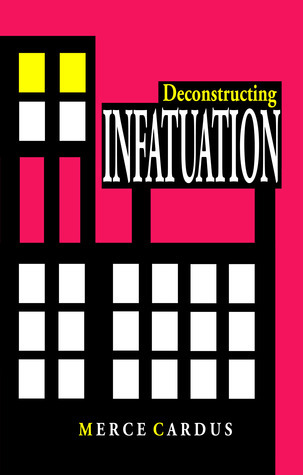 Deconstructing INFATUATION by Merce Cardus was published June 1, 2012 by CreateSpace. A free copy of this book was given to Ink and Page in return for an honest review. I just now read an article about epigenetics (chemical effects on genes) influencing sexual attraction and/or development. (I think I linked to it from facebook.) Totally coincidental but interesting. I have no idea why this is so suddenly interesting to me (I wrote about it in a sarcastic way) since it is all retrospective at my age. How interesting! Maybe you should read this book (it’s practically a short story) and see what conclusions you come to! Thanks for the comment, Virginia.